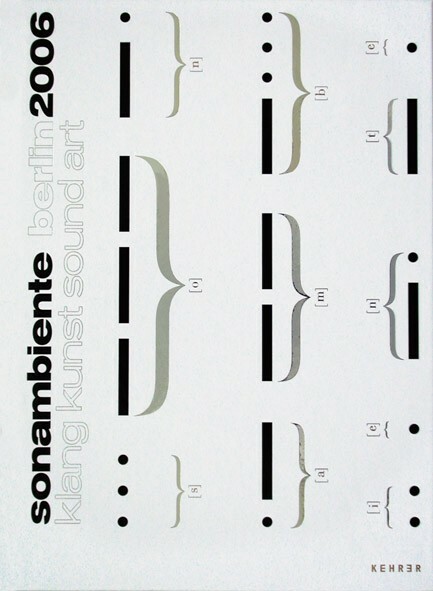 In the summer of 2006, the international sound art scene is meeting in Berlin for the most comprehensive inventory of current sound art. sonambiente, the six-week "festival for hearing and seeing", presents definitive protagonists as well as new talents and presents to a broad public sound art, which meanwhile spans all the individual arts. sonambiente has been staged once before. At the 1996 Festival, some 50,000 visitors experienced projects by more than 100 participating artists. The richly-illustrated publication sonambiente berlin 2006 traces the relevant lines of development in artistic production in past years, subjects them to a critical depiction, and presents new and newest projects.